Do you know what your Agents are saying to Consumers? Do you know what makes one Agent more successful than the next? Your call recordings contain vital data about your operations and how your agents interact with consumers. Accessing that data, and making some sense of it, however, can be a real challenge. How can you review more than a handful of calls without breaking the bank on employees or technology? The answer is BLG INSIGHT from Bedard Law Group. Bedard Law Group's INSIGHT service provides you legal advice regarding what your collection agents are saying, and not saying, on their calls. BLG INSIGHT uses voice analytics technology to screen your calls for certain key words and phrases central to legal compliance. We at Bedard Law Group know about collection compliance. We know how to find and limit your risks. With our BLG INSIGHT service, we will provide a new level of compliance management, including the legal analysis you need to design and manage your policies, procedures, and training program. Find the calls that need your attention, allowing your employees and managers to focus their efforts on servicing your clients. 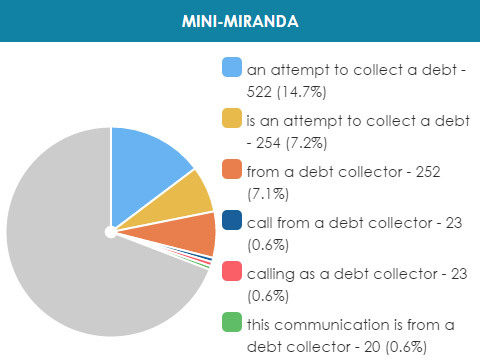 BLG INSIGHT analyzes the speech of both debtor and collector on every single call to identify potential risks. We can analyze thousands of recorded calls and quickly deliver online reports in an easy-to-read graphical format. We direct you to the potential risks, and you can then review those specific calls. That way, you can focus your efforts on the calls that need your attention. This reduces your risk of violations which expose your company to consumer complaints, regulatory investigations, and litigation. BLG INSIGHT puts the relevant calls at your fingertips so you can make the proper compliance and risk management decisions. 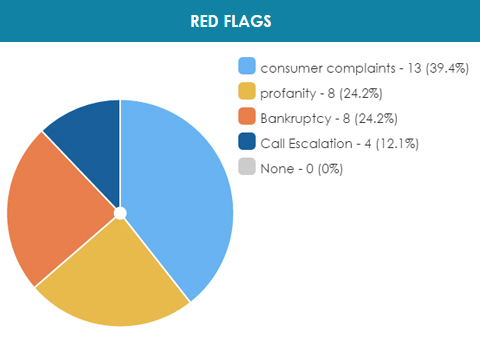 We can set up BLG INSIGHT templates to review every call for the most common compliance gaps, like failing to disclose that calls are being recorded, or that the communication is from a debt collector. We can also monitor your calls using your custom scorecards. We can measure compliance with your internal scripts or screen for multitudes of other communications metrics your business may want to use. The data you capture through BLG INSIGHT will give you tools to address weak policies, make changes to company scripts, and potentially redefine call-handling procedures. Identify high risk consumers in your inventory, allowing you to flag these accounts for special attention. Provide details of compliance risk broken down by collection agent. Compare the language and call statistics among your agents, helping to identify best practices you can use as a model for all your agents. The options are nearly limitless! Call or Contact Us to discuss the possibilities! Try BLG INSIGHT Speech Analytics Today!